Good Halloween parties rely on plenty of atmosphere to be successful. It’s not enough to simply send out invites and hope for the best. A great Halloween party needs to set the mood in just the right way. 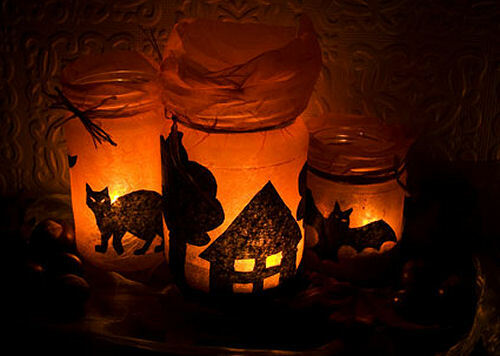 Do you want to set the mood for a Halloween Party? Follow these tips for an eerie effect. 1. Use great lighting. Using creative lighting helps to set the tone of the party. With just the right lighting, you can send chills up the spines as soon as the guests enter. There are lots of ways to do this. Having luminaries lining the path to your doorway sets the mood outside and can be done inexpensively with mason jars and black paper. Carved pumpkins with candles are always fun and set the mood. Get creative in your carving for best results. See my tips for carving pumpkins here. Once inside the house, consider using black lights or neon lights for a really awesome lighting effect. Black lights make ghost and skeleton costumes really stand out and the neon party lights are just plain spooky. If you have a bit of money in your budget…consider buying or renting a fog machine for an especially chilling effect, especially if your party will be outdoors for at least part of the time. 2. Plan the food. 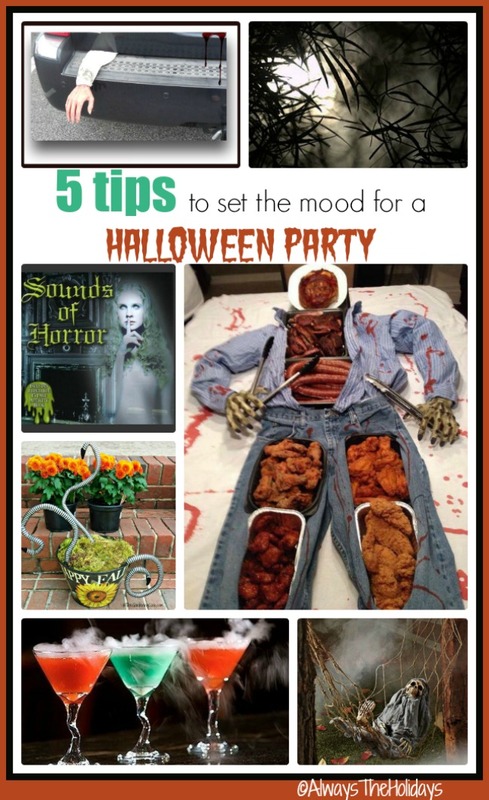 Food choices are many when it comes to planning a Halloween party. You can make eyeballs, or witch’s fingers. If you look on Pinterest for Halloween food, you will find hundreds of ideas. But how about thinking outside the box instead. What about having all black and red food….think ghouls and blood. 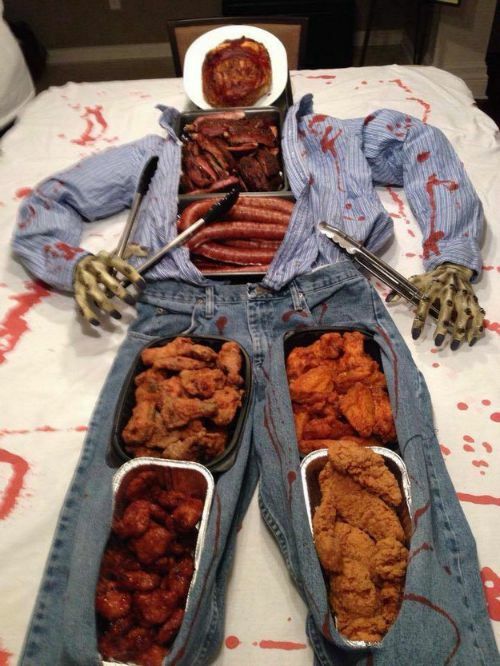 Or perhaps staging your food in spooky and creative way. This buffet table is sure to be a huge hit with the most ghoulish of guests. You could put it together easily with a pair of jeans and a shirt. Use ketchup for the blood and fill the buffet areas with party finger food. If you are looking for some inspiration for a party starter, be sure to check out the recipes that I suggested for National Chip and Dip day. There are over 50 of them! 3. Experiment with drinks. Halloween drinks should be fun and colorful. Freeze plastic spiders in ice cubes for a creepy effect. Add Dollar store gummy worms to the punch bowl and let them drape over the side. For a really chilling effect, try using dry ice. Dry ice is sold blocks about 1-2 pound in size and is often available at grocery stores this time of the year. It is inexpensive too. Often about $3 or so. Buy your dry ice the day of the party and cut it into cubes. Drop a cube in drinks and watch the ice foam around the glass. 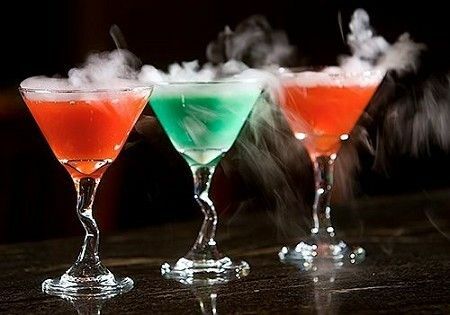 These smoking martinis are great examples of the effect. See how to make them on Drinked In. 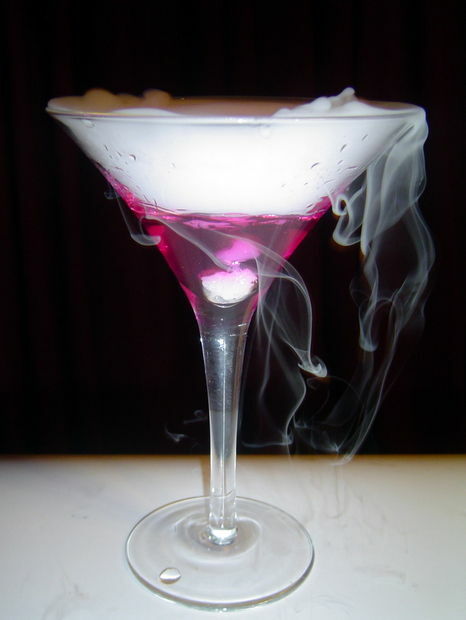 Another example of using dry ice in drinks is this color changing martini. Not only will it set a Halloween mood, but it is a great party trick as well. You can visit Instructables to see how to make one. 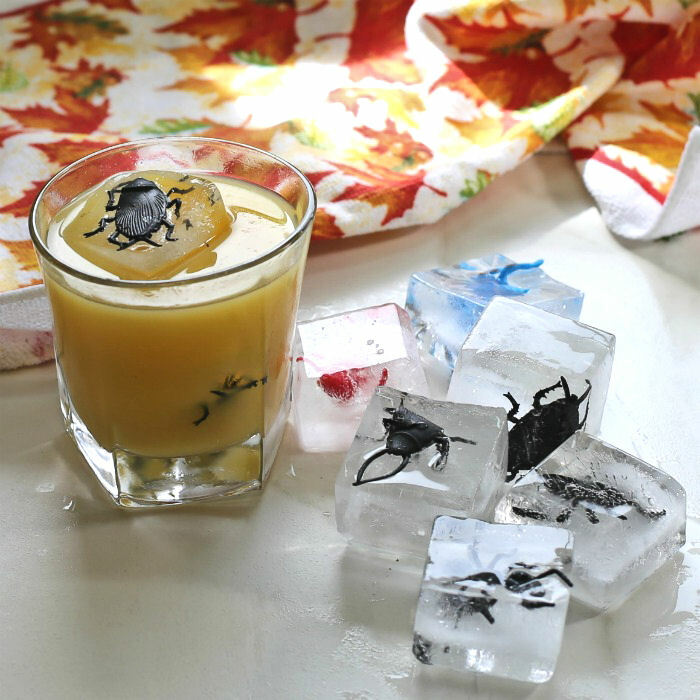 A fun DIY project is to make spider and bug ice cubes for your drink. They are easy to do and so spooky looking. 4. Find the perfect props. Take a trip to your local Dollar Store. They are the perfect spot for one stop shopping on a budget. You will find everything from skeletons, to scary hands, to neon props and more. Use the decorations as they are, or get a bit more creative and make them into neat looking props. 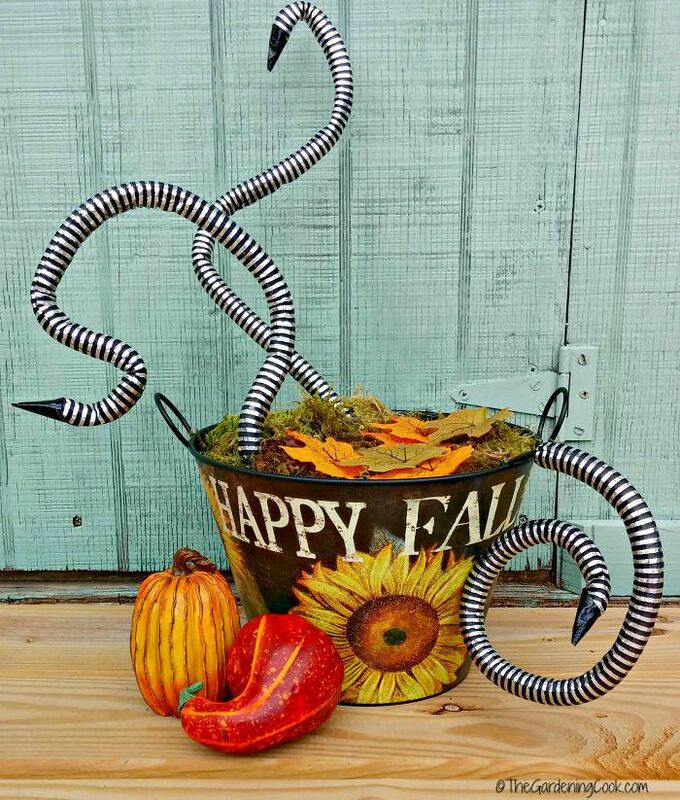 I made this slithering snake decoration from inexpensive craft materials and it adds an eerie look to any doorstep. It will make guests wonder what else is hiding under that moss. 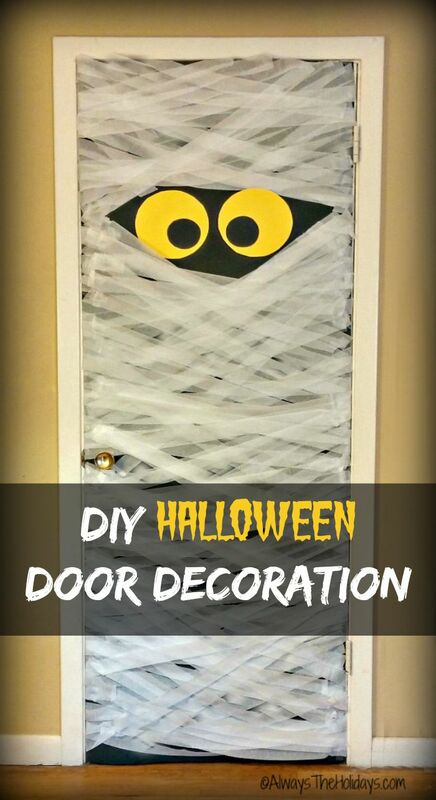 Another idea is to cover a plain door with crepe paper streamers for a spooky mummy effect. This one can be put together for about $3. Imagine a black light shining on it? Yikes! If you are not a crafty type of person, there are tons of authentic looking props available on Amazon. Imagine this interactive skeleton coming to life with voice activation? It will scare the pants off your party guests! Be sure that your front door sets the mood, too. 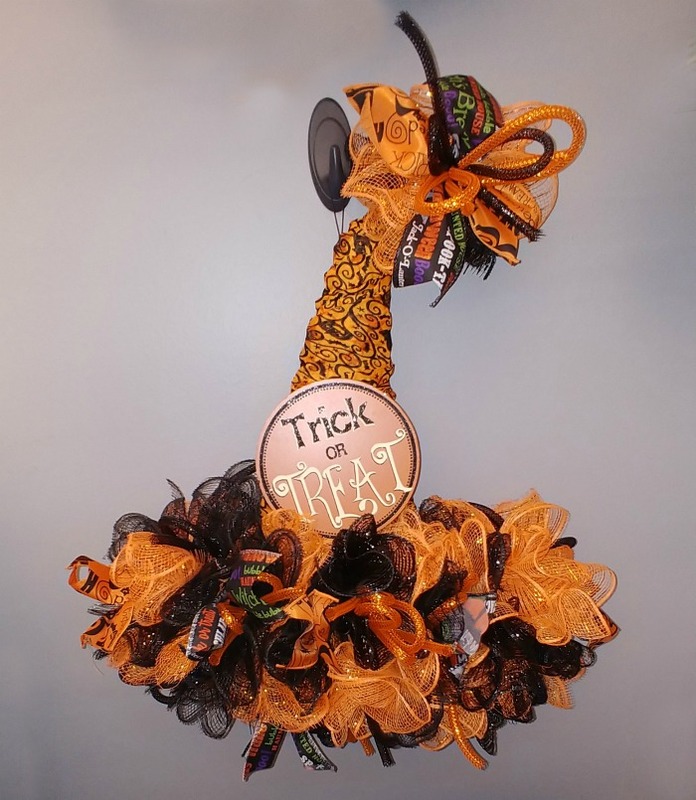 Decorate with a fun witch hat wreath to greet visitors. This orange and brown fabric wreath will delight party guests and trick or treaters as well. 5. Create a Killer Playlist. A big part of the mood of a Halloween party can be set with just the right music. 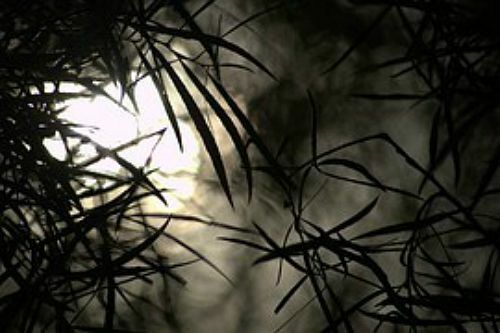 There are loads of CDs available that play great tunes for a spooky night, as well as some that use creeking doors, bloody screams and other Halloween sound effects. This one from Amazon is available for sale, or if you have Amazon prime, you can download it for free to your audio library. With track titles like “Digging in earth with a spade,” and “ripping flesh,” you know that your music will set the right mood! So now that you have some tips for setting the mood, what are you waiting for? Send out the invites and make this party the spookiest Halloween get together yet! 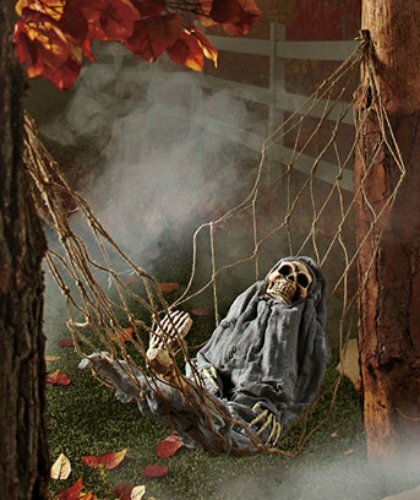 What have you done to set the mood for your Halloween parties? Let us know in the comments below.